I really, REALLY wanted this to be good, as I loved, LOVED The Liar’s Club. 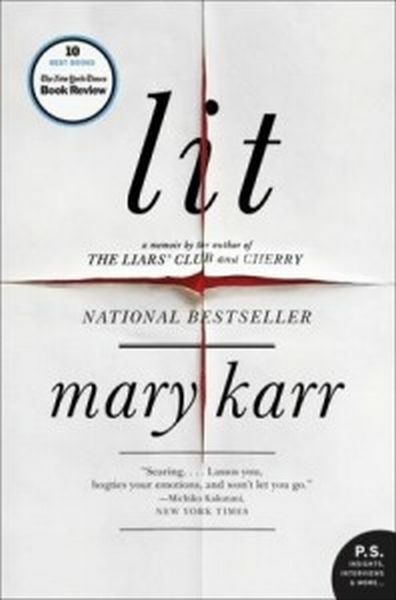 Maybe it’s because I haven’t read Cherry, the memoir between Lit and The Liar’s Club – but I felt like she skipped out on all the good stuff. Like, I get it, it’s about her becoming sober.But seriously, as a reader I don’t really care about her recovery path so much as I want to know the filthy details of what behaviours she needed to recover from. And you got bits of that…. just not nearly enough to make it worth it when the stories kind of peter out into Jesus talk 3/4 into the book. To her credit, she did have a really great way of talking about her spirituality, and it didn’t make me roll my eyes as hard as I would were it someone else writing. But also, despite her hard campaign of self-deprecation throughout the book, there were a lot of times when I felt she was a spoiled betch that believed having an artistic talent excused selfish behavior/self-indulgence.